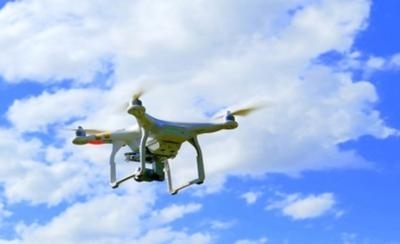 A British drone collision study that served in part as the basis for a proposed drone pilot registration law in the U.K. has been called into question by the U.K. newspaper The Register, which recently obtained a copy of the full report. The paper reports that its analysis of the full study, which was conducted for the British government by Qinetiq and testing firm Natural Impacts, shows that the risk to airliners was far less that has been claimed by BALPA and the U.K. Department of Transport. In a serious of tests described ad "rigorous", drone analogs launched against the cockpit window panes of A320-series airliners did not penetrate those windows. The study was cited by BALPA as "evidence of a proven drone collision threat" to airliners. Through a spokeswoman, the union stood by its statement. “We stand by the characterization we made at the time of the report’s publication. Drones pose a huge potential risk to aviation safety if not flown sensibly,” she told The Register. After publishing its report, a Department of Transport spokeswoman told the paper via email "The safety of the public and manned aviation is our primary consideration in the use of drones. The materials and methods used in these tests were carefully selected and expert engineers wholly agreed that the results were reliable." The spokeswoman denied using the report as a basis for the legislation.